The Robertsons combined three spaces into one to create the ultimate kitchen – the heart of their new home. 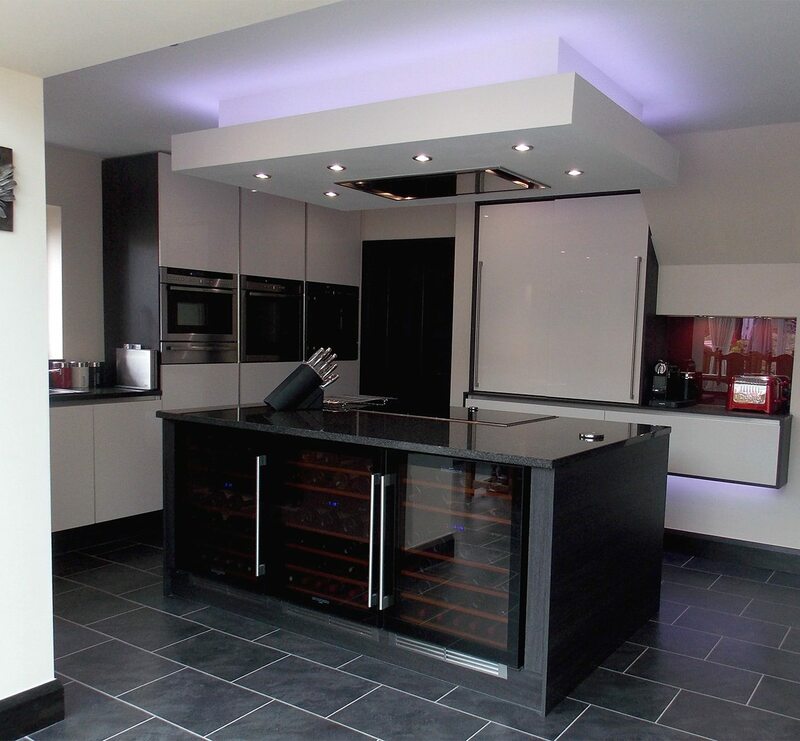 Mr & Mrs Robertson from Colne, Lancashire, knew exactly who to turn to when it came to their new kitchen. 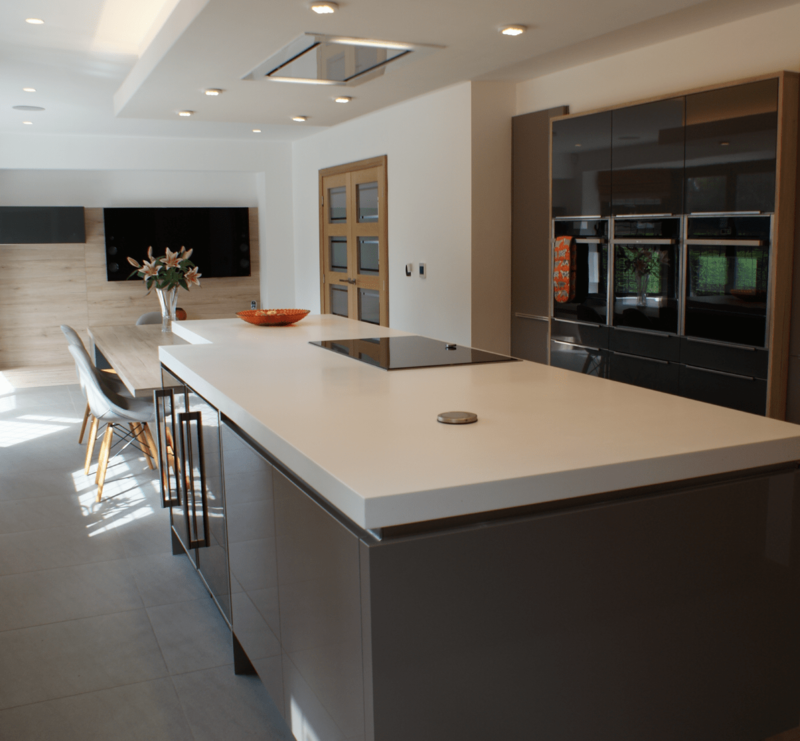 “We’ve used Kitchen Design Centre a number of times in the past and have always been really happy with their work,” says Mrs Robertson. 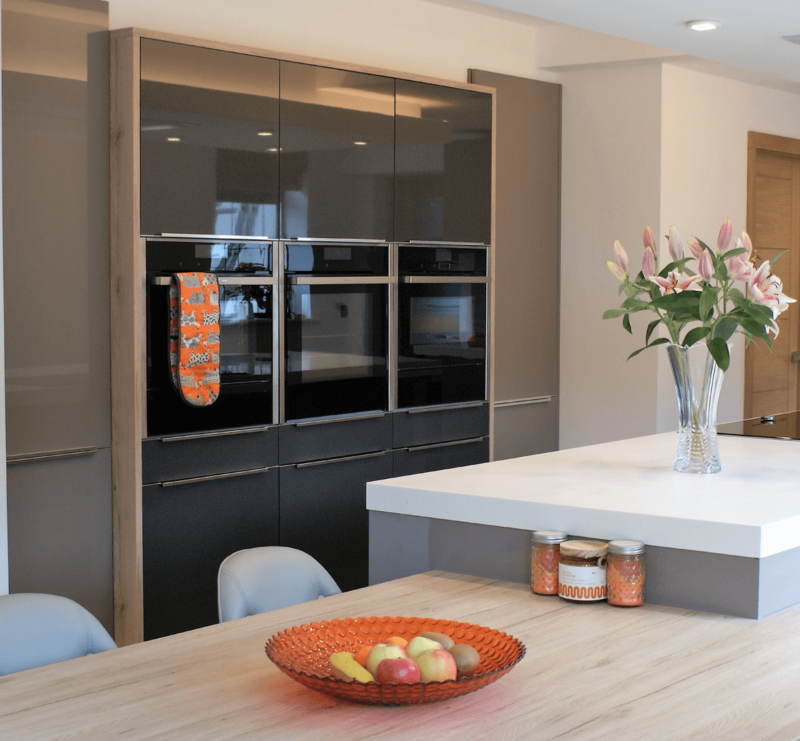 While the couple weren’t new to a designer kitchen style, they were new to the latest gadgets and trends – which they wanted to incorporate into their latest kitchen design. 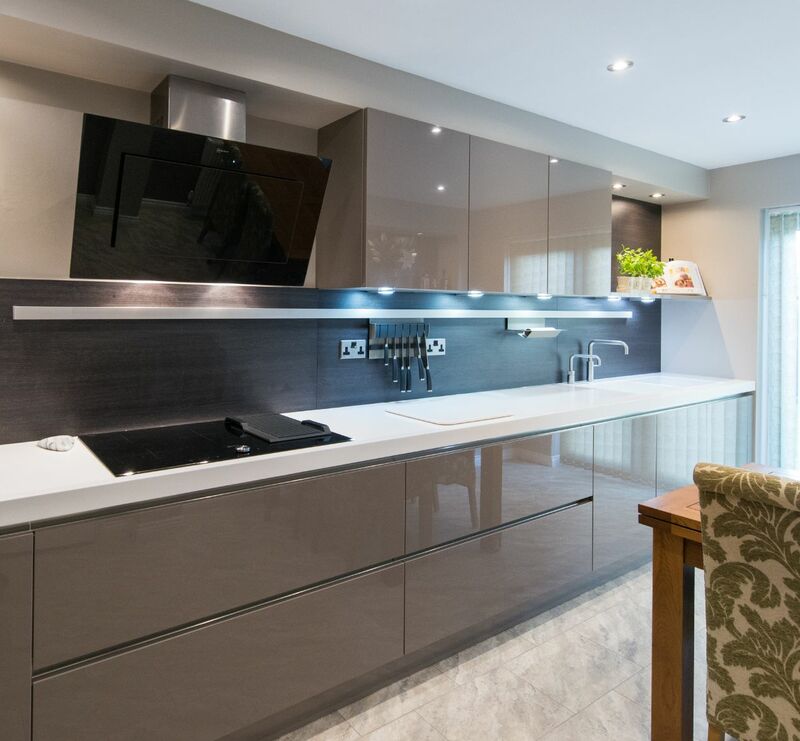 “We wanted something new and modern in style; something a bit different from our previous kitchens,” explains Mrs Robertson. 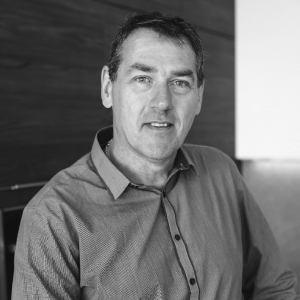 After approaching Simon Thomas, one of the designers at our Colne showroom he began using the wealth of experience and a little KDC magic, designing a kitchen tailored to their requirements. “We had just moved house and didn’t like anything about the kitchen at all,” says Mrs Robertson. “It just wasn’t to our taste,” she adds. With the kitchen the hub of the family’s home, the couple were keen to enhance their kitchen space and so combined three spaces into one for the ultimate, open-plan kitchen. 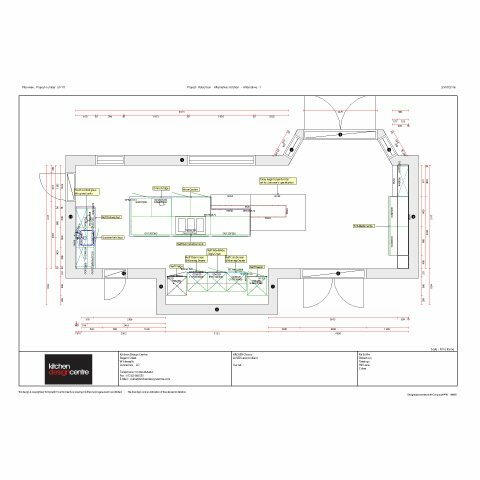 Kitchen Design Centre was involved in advising and decision-making early on in the process – suggesting window positions, door openings and apertures. To bring the Robertson’s new kitchen up to date, Simon recommended a modern German design. 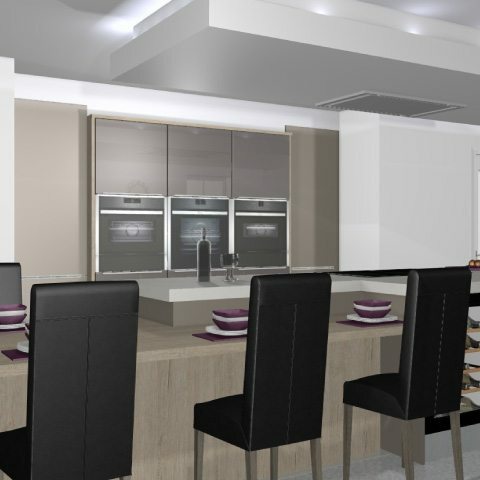 The sleek design featured a mix of handle and handleless cupboards, Corian worktops, high gloss units, and a chic colour palette of white and grey. 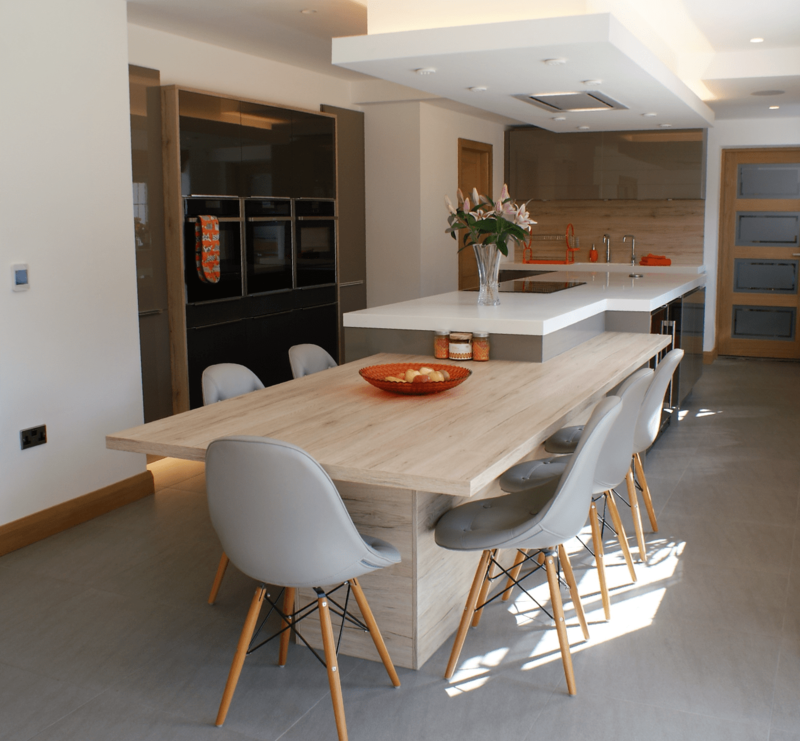 Simon`s creative design met the couple’s requirements for a flexible and functional social space, suited to family life and entertaining – the island being the heart of their new kitchen and breakfast area. “It was such an important room for us to get right,” explains Mrs Robertson. “We’re always entertaining and wanted something sociable and suitable for family meals,” she adds. The Robertsons were also keen to explore new technologies and design. 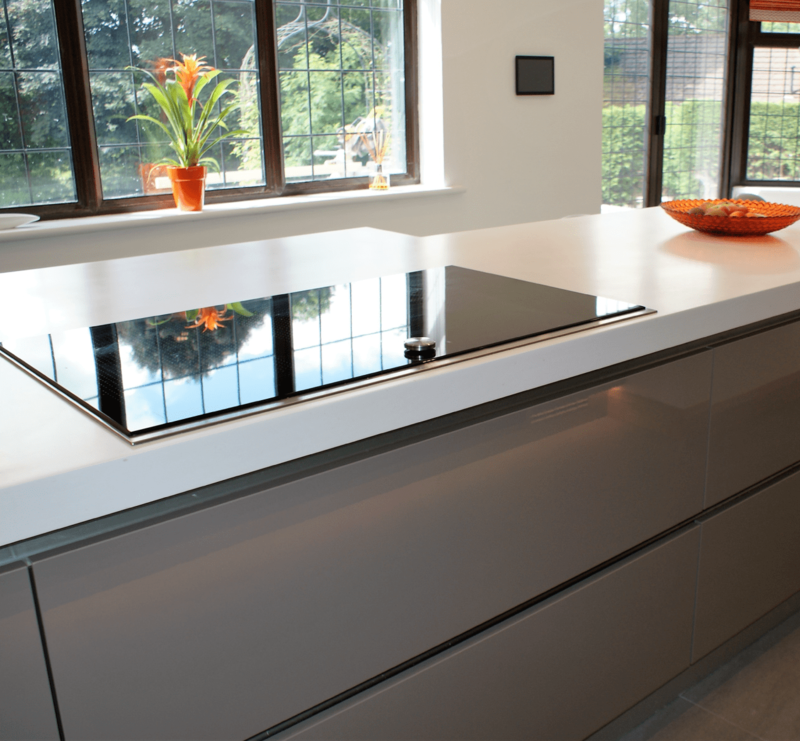 With this in mind, the Kitchen Design Centre team installed a range of top Neff appliances, including the Induction Hob, Slide and Hide Oven, Warming Drawers, and Combi Oven, as well as twin Quooker taps. “We’re really enjoying all the new gadgets,” says Mrs Robertson. “People always notice them when they come over as they’re a little bit different,” she adds. Other innovative features included the touch controlled climber units, media centre, and hob with three flex induction zones. 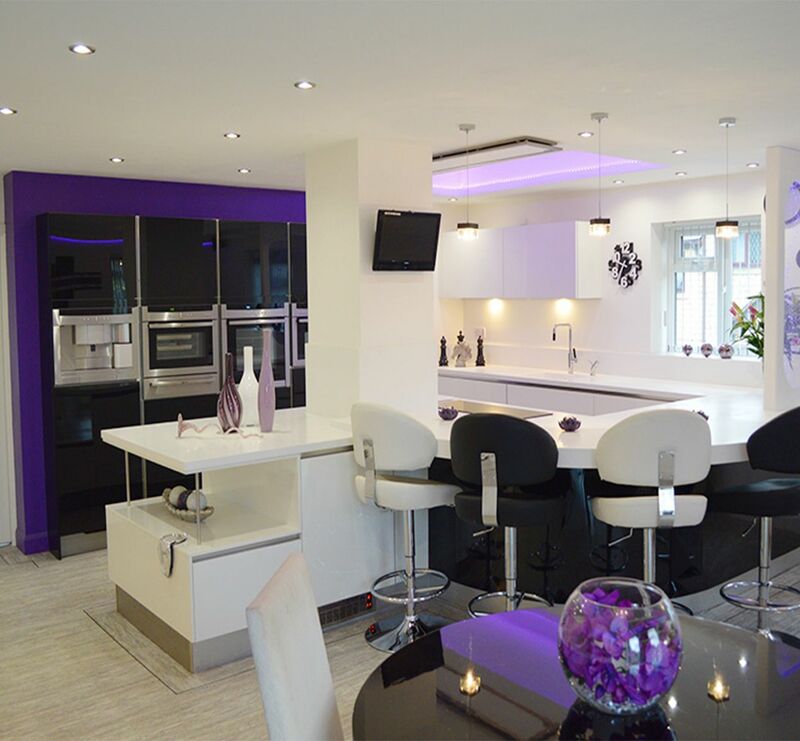 "From the initial design to the fitting, Kitchen Design Centre gave us all the support we needed. The whole process was completely stress-free." "We’ve known the Robertsons for a number of years now and always enjoy working with them on kitchen projects. We’ve maintained a great relationship with them over the years – so it’s always great to see them when they come back to us." 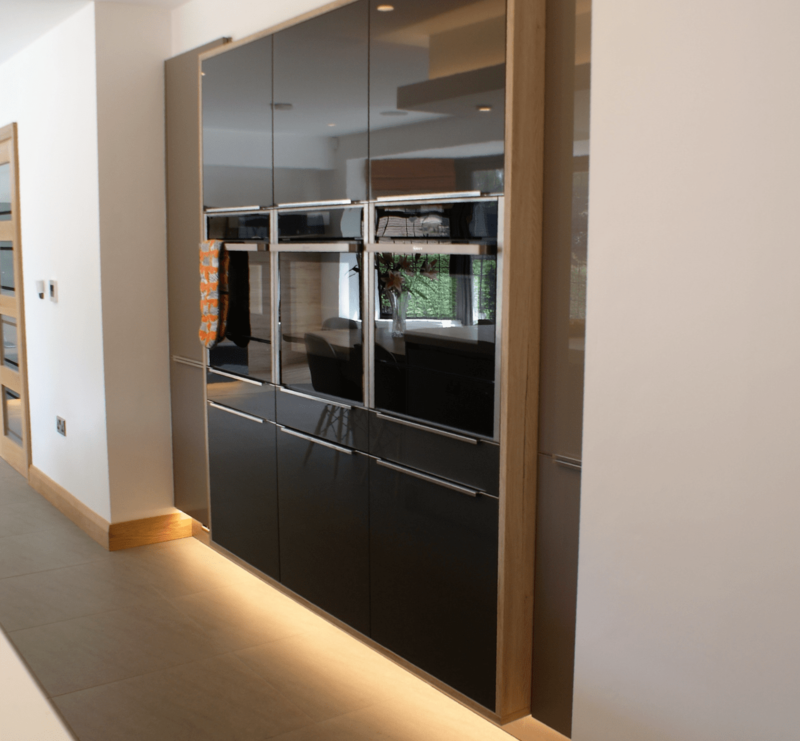 “For this particular kitchen, we offered a design and installation service. 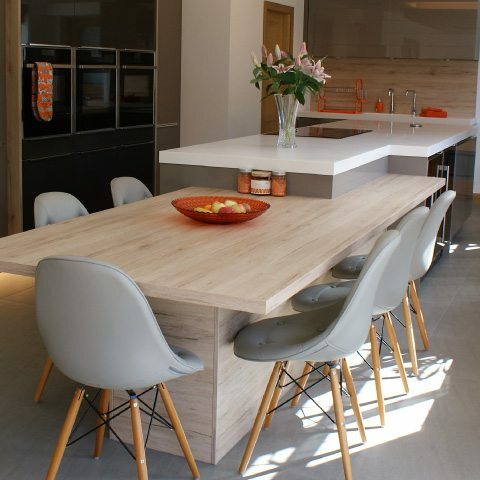 The modern, German design met the couple’s requirements for a stylish, designer-inspired kitchen. 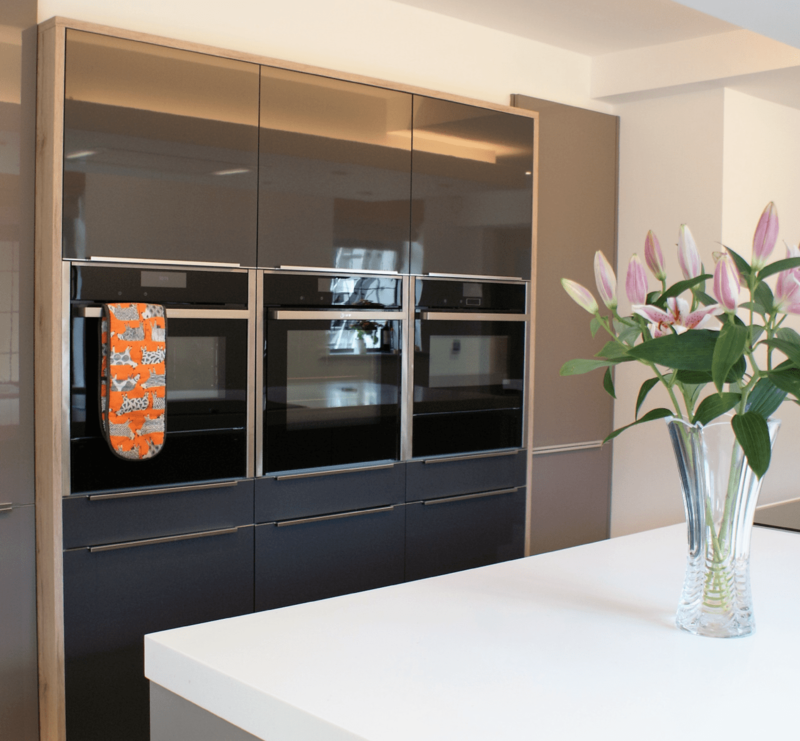 The Robertsons were also keen on Neff’s newest appliances – so we installed a range of the best Neff appliances on the market." “The new design is practical and on-trend, featuring a stylish colour palette and central island, which is ideal for busy family life, and a completely remodeled interior. We’re extremely happy with the result and glad that the Robertsons love it as much as we do!"